In the midst of America’s 2017 socio-political upheaval, the singer—a self-described “bi-racial double agent who’s got a black father and a white mother”—could feel the weight “of the divisions we’ve created because of race.” After meeting Travis Barker of blink-182 by chance, he spent Super Bowl Sunday with the iconic drummer and mutual friend producer John Feldman. That day, this unholy triumvirate’s conversation inspired the songs that would eventually comprise Fever 333’s 2018 debut. Feverishly writing, each session yielded more tunes. Last summer, Fever 333 made their live debut—quite appropriately—on July 4, 2017. They hijacked the parking lot of infamous L.A. staple Randy’s Donuts (Notably, it’s a stone’s throw from South Central where the vocalist grew up). This “Political Pool Party” preceded the storm to come. “Walking In My Shoes” doesn’t just title another banger; it serves as the banner for Fever 333’s activism. The Walking In My Shoes Foundation will host speakers, launch art installations, promote storytellers, and benefit partner charities such as Downtown Los Angeles-based Inner City Arts, The ACLU, Southern Poverty Law Center, and more. 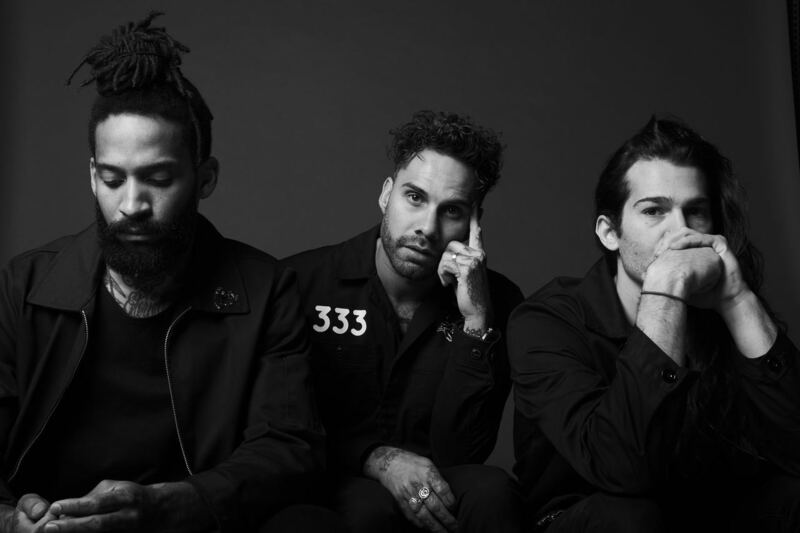 In the end, the revolution truly starts with Fever 333.